Athletic trainers have to be knowledgeable about a wide variety of medical conditions, from simple cuts and bruises to serious concussions and dislocations. Knowing how to handle these situations and keep young athletes safe is what makes a skilled athletic trainer a valuable asset to any sports team. But we know not all sports teams have an athletic trainer, which is why it’s important that all coaches also have basic knowledge of how to react in emergency situations during any sporting activity. Our Sports Medicine Program offers comprehensive medical and orthopaedic services to student athletes. It is one of only a few multidisciplinary programs in the country dedicated to the well-being of young athletes. Whether the athlete is at the elite, high school or middle school level, our staff can provide individualized assessments based on maturity, skill level and performance goals. We have more than 40 certified athletic trainers on staff, all of whom are licensed by the state of Georgia. We cover more than 40 high schools and 30 club sports organizations across metro Atlanta. If you want to learn more about the importance of having an athletic trainer or for more information on how our team can work with your school, contact Lindsey Ream, Sports Medicine Supervisor - Athletic Training. In Georgia, thousands of young athletes participate in athletic activities and events each year. While most injuries that occur in athletics are relatively minor, life and/or limb-threatening injuries are unpredictable and can occur without warning during any physical activity, at any level of participation. The National Athletic Trainers’ Association (NATA) recommends that organizations and institutions that sponsor athletic activities or events develop and implement a written emergency plan. These plans should include identification of the personnel involved, specification of equipment needed to respond to an emergency and establishment of a communication system to summon emergency care. The information below provides a base of the expertise our athletic trainers bring with them to the field. 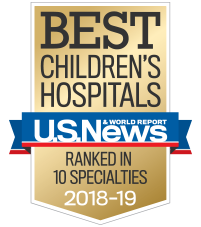 This content was developed by Sibley Heart Center and the Sports Medicine Program at Children's Healthcare of Atlanta and reviewed by the University of Georgia Athletic Association. This content is general information and is not specific medical advice. Always consult with a doctor or healthcare provider if you have any questions or concerns about the health of a child. In case of an urgent concern or emergency, call 911 or go to the nearest emergency department right away. Some physicians and affiliated healthcare professionals on Children's Healthcare of Atlanta team are independent providers and are not our employees.